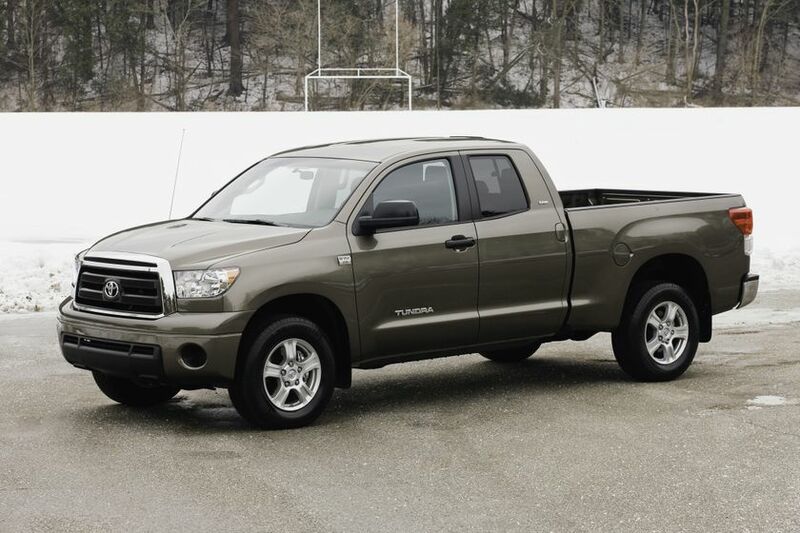 (TORONTO) – The 2011 Tundra 4x4 and 4x2 models are rolling into Toyota Dealers, bringing a capable and versatile full-size pick-up truck to Canadians featuring the power, performance and value that makes it the perfect partner for work and play. 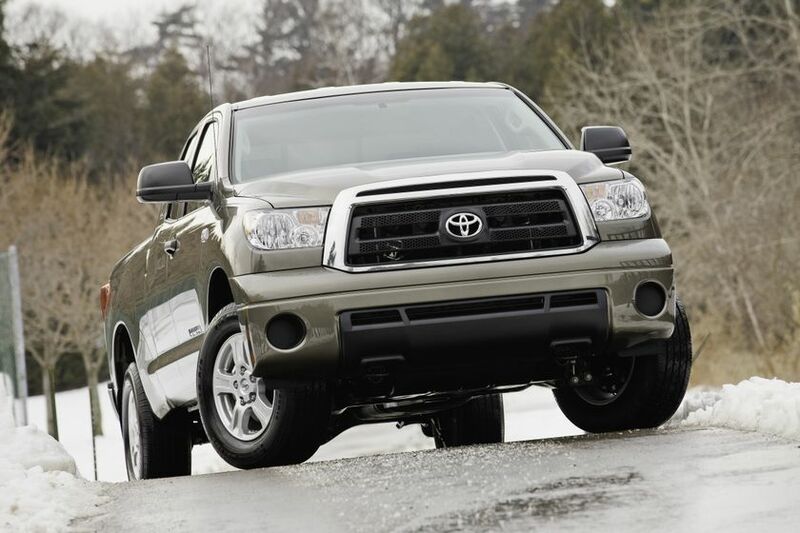 A capable yet efficient 4.6L i-FORCE V8 delivers 310 horsepower and 327 lb-ft of torque. 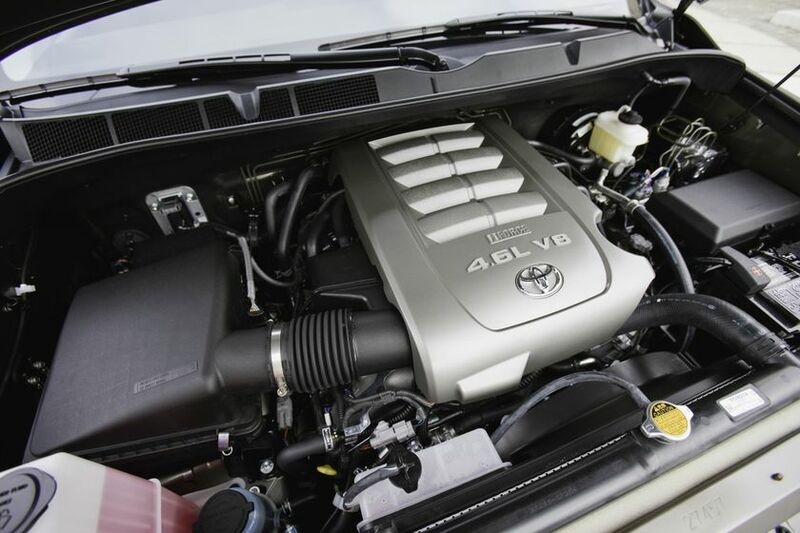 This engine is rated at a combined fuel efficiency of 12.2L/100KM in 4x2 and 14.6L/100KM in 4X4, 12.8L/100KM in 4x4 Double Cab SR5. 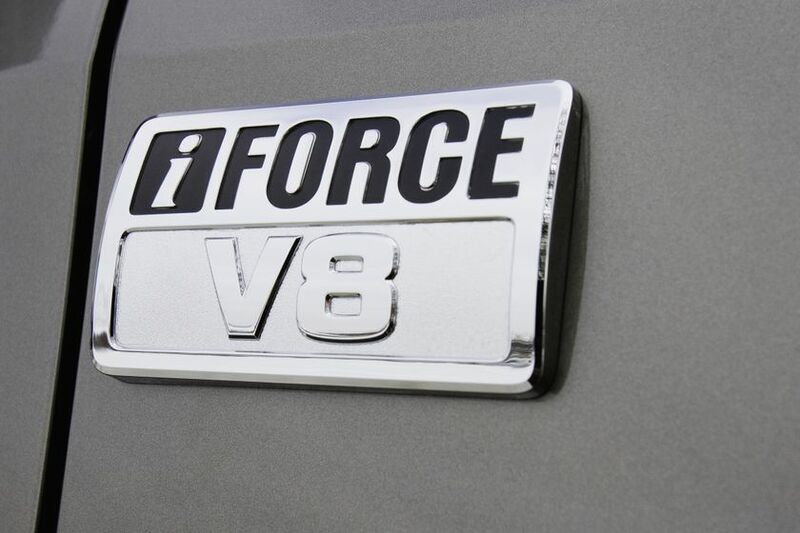 A robust and powerful 5.7L iFORCE V8 generates 381 horsepower and 401 lb-ft of torque. 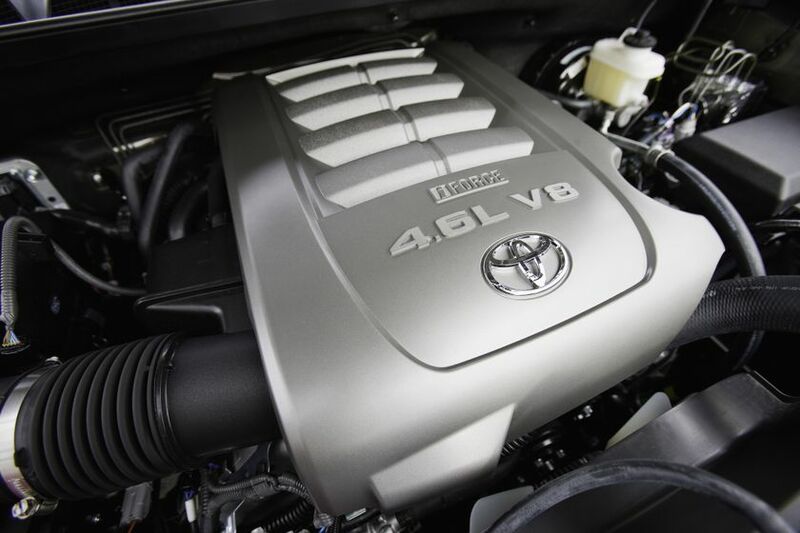 This engine is rated at a combined fuel efficiency of 13.3L/100KM in 4x2 and 14.6L/100KM in 4x4. 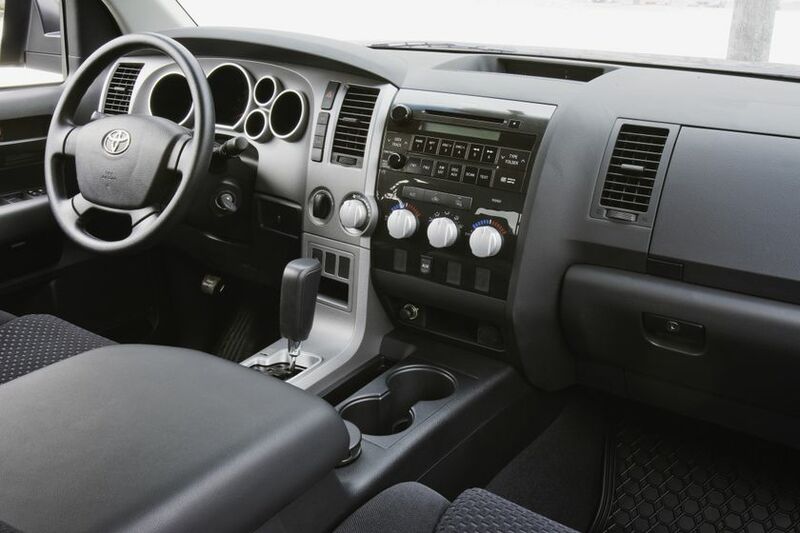 Features on both engines: 32 valves; dual-overhead cam; Dual Variable Valve Timing with Intelligence; Acoustic Control Induction System, Sequential Multiport Electronic Fuel Injection; Tier 2 Bin 5 emissions rating; crank hold electronic starter control; and heavy duty starter, battery, alternator and heater. 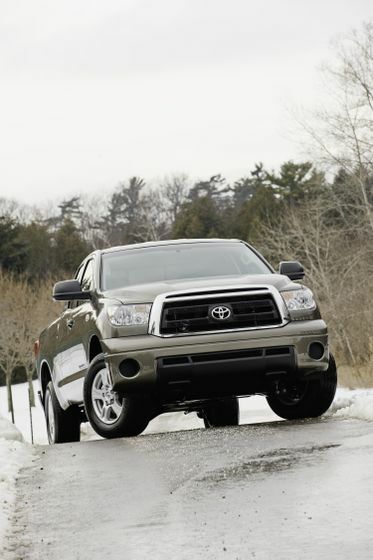 All Tundra engines are mated to a six-speed super electronically controlled Sequential Shift automatic transmission featuring Tow Haul Mode with automatic transmission fluid warmer and transmission cooler. 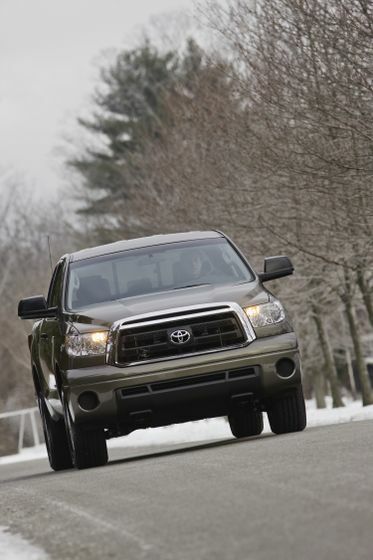 Tundra 4x4 models feature a one-touch, Part-Time four-wheel-drive system. 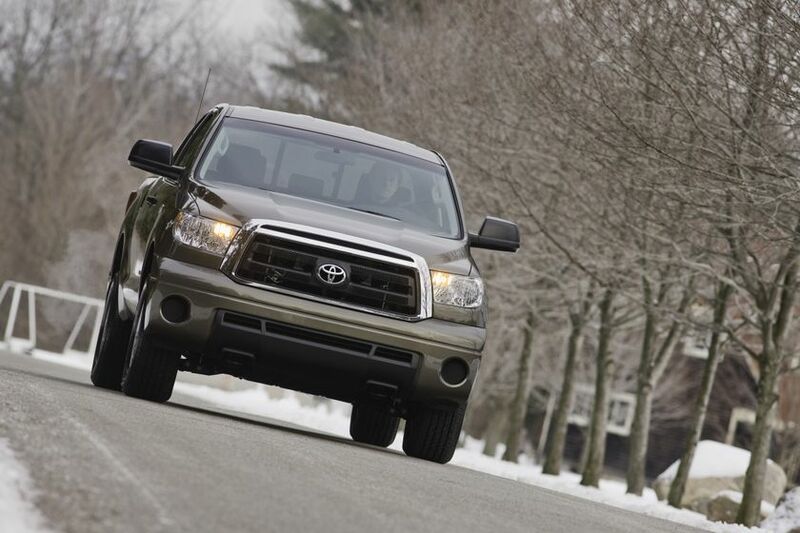 All models are fitted with an auto limited slip rear differential for improved traction on slippery surfaces. 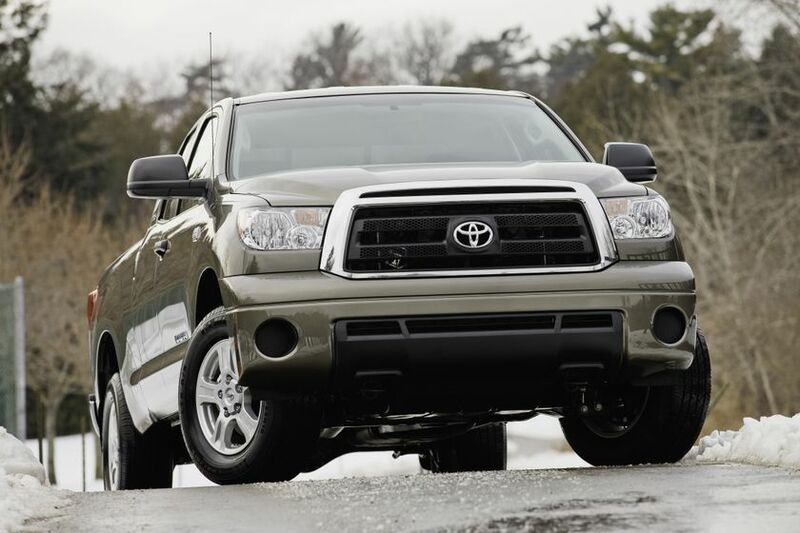 Tundra’s front suspension features a double-wishbone design with gas shocks, coil springs and stabilizer bar and a heavy-duty multi-leaf spring rear suspension with bias-mounted gas shocks. 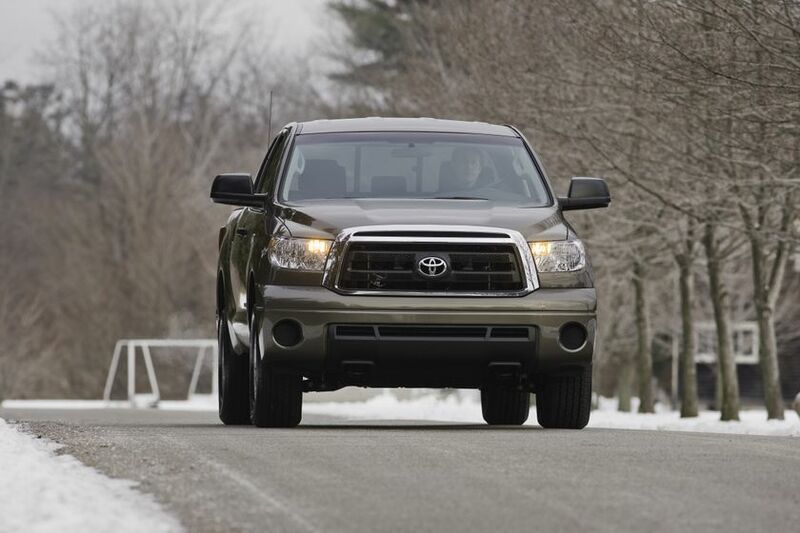 These combine to deliver rugged support and a capable yet comfortable ride. 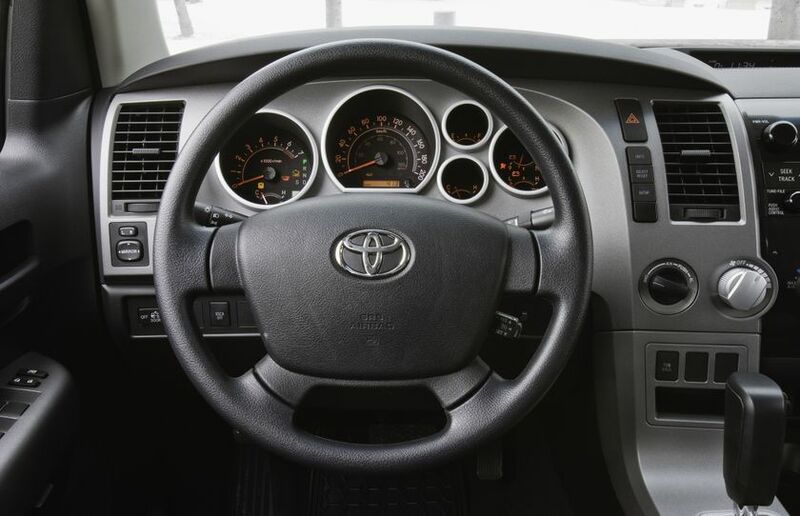 Front and rear ventilated disc brakes, enhanced with anti-lock braking system, Brake Assist (BA), and electronic brakeforce distribution technologies and Smart Stop Technology (SST): The system is designed to reduce engine power when the brake is firmly applied helping to bring the vehicle to a stop, even if the accelerator pedal is fully depressed. 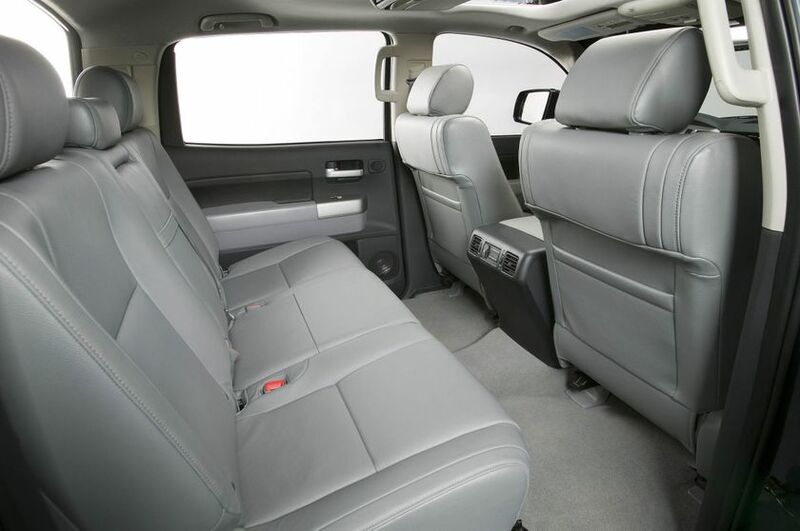 Eight airbags (driver and front passenger air bags, front seat mounted side airbags, driver and front passenger knee airbags, and roll-sensing head/side curtain airbags). 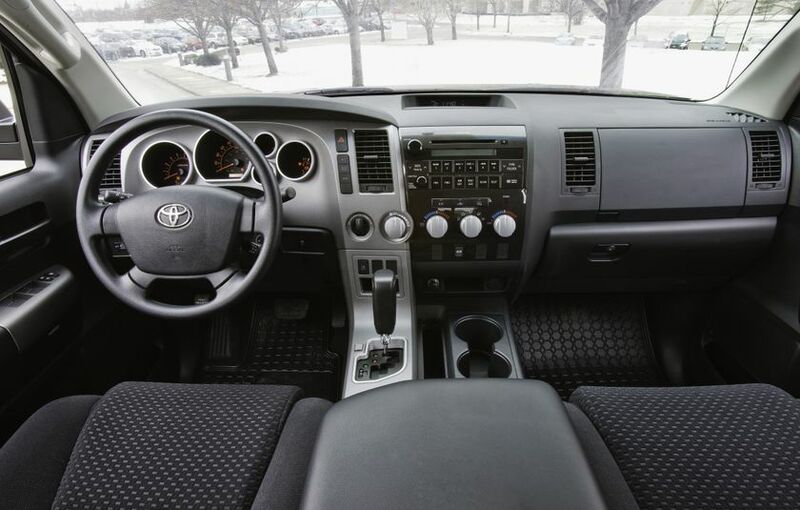 All position vertically-adjustable headrests and three-point lap and shoulder belts with front belt anchor height adjusters. 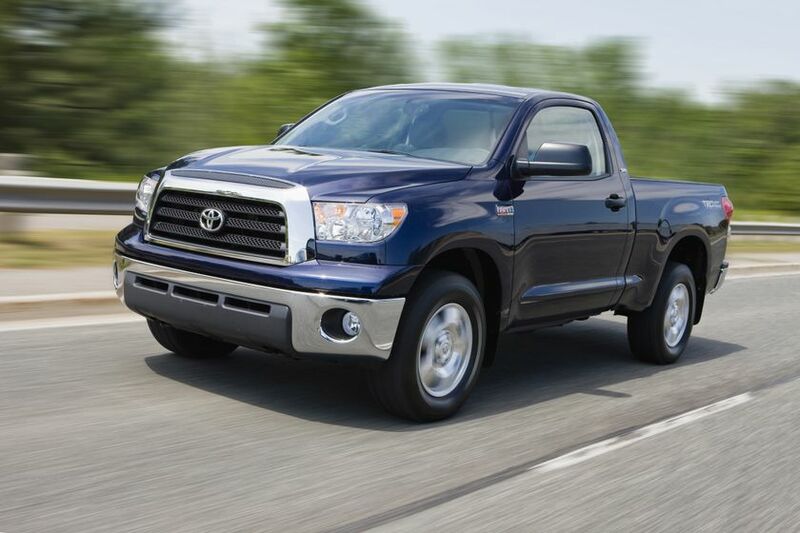 Anchor points for child restraint seats and child protector locks on models with rear doors. 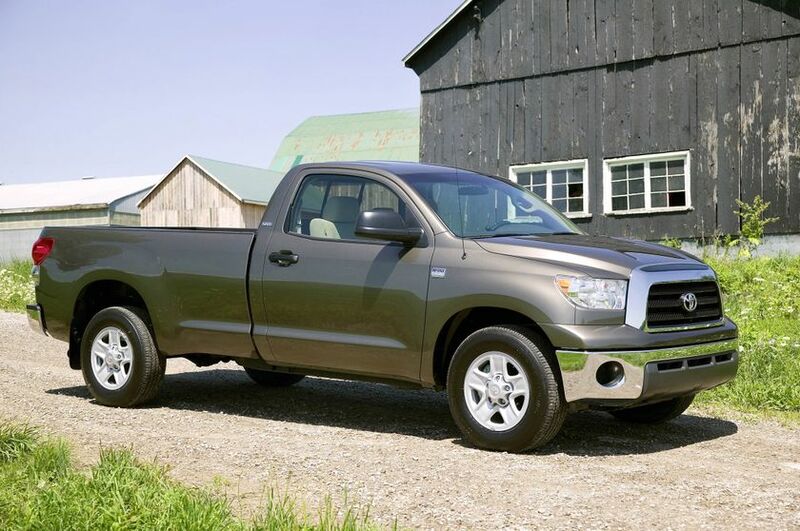 The 4x2 Regular Cab Long Bed 5.7L, 4x2 Double Cab SR5 4.6L, and 4x4 Tundra Regular Cab Long Bed may be ordered with the SR5 Package, which adds many upgrades, including 18” aluminum alloy wheels, power windows and door locks with keyless entry, outside temperature gauge, chrome grille and much more. 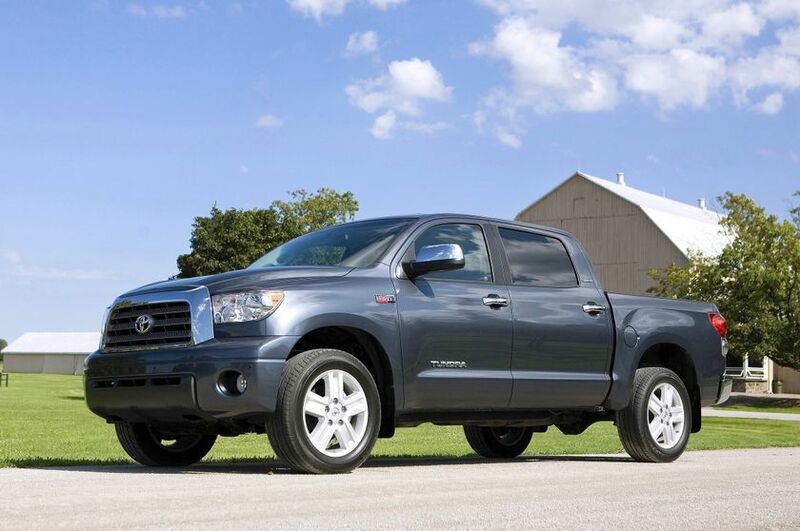 The 4x4 Tundra Regular Cab 5.7L may be ordered with the TRD Offroad Package, with additional features on top of the SR5 Package that includes raised white letter tires on 18” aluminum alloy wheels, Bilstein shock absorbers, front bucket seats, console mounted shift lever, tilt and telescopic steering wheel, XM Satellite Radio, fog lamps, TRD decals and much more. 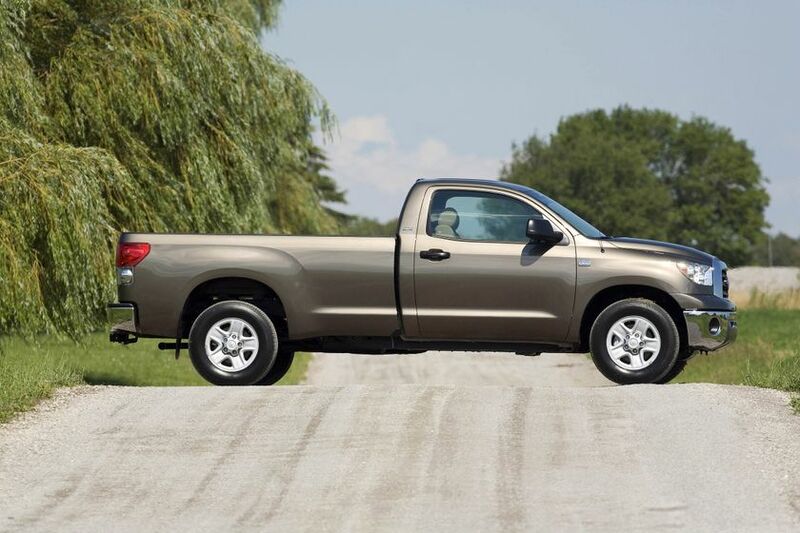 Two packages are available for the 4x4 Tundra Double Cab SR5 4.6L and 4x4 Tundra Double Cab SR5 5.7L: the Upgrade Package, which includes Bluetooth Capability, 8-Way Power Adjustable Driver Seat. 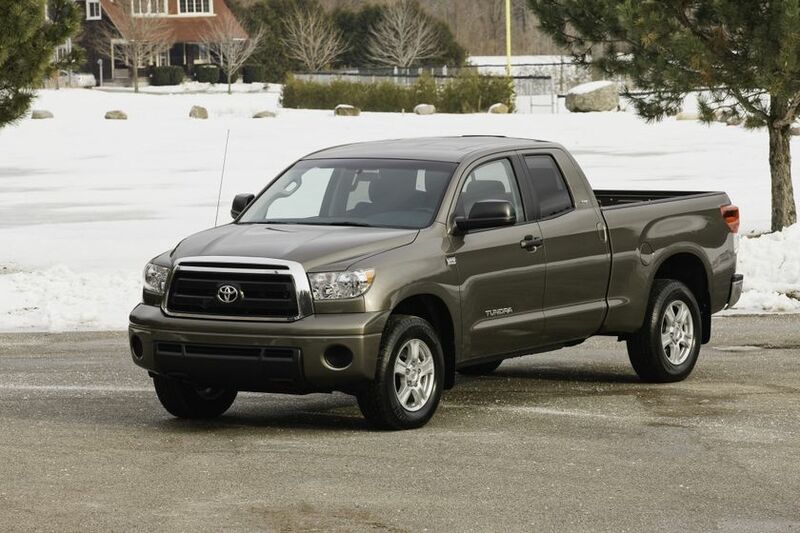 Rear Privacy Glass and much more and the TRD Offroad Package. 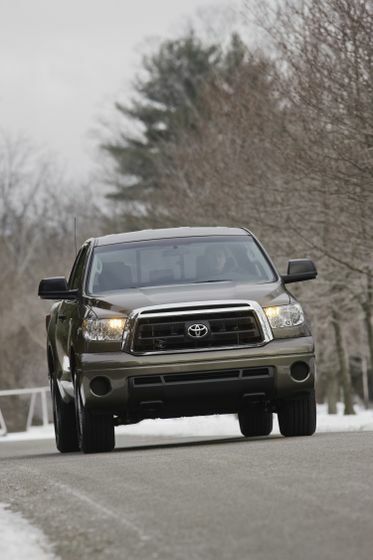 The 4x4 Tundra Double Cab SR5 5.7L may also be fitted with the Leather & Navigation Package. 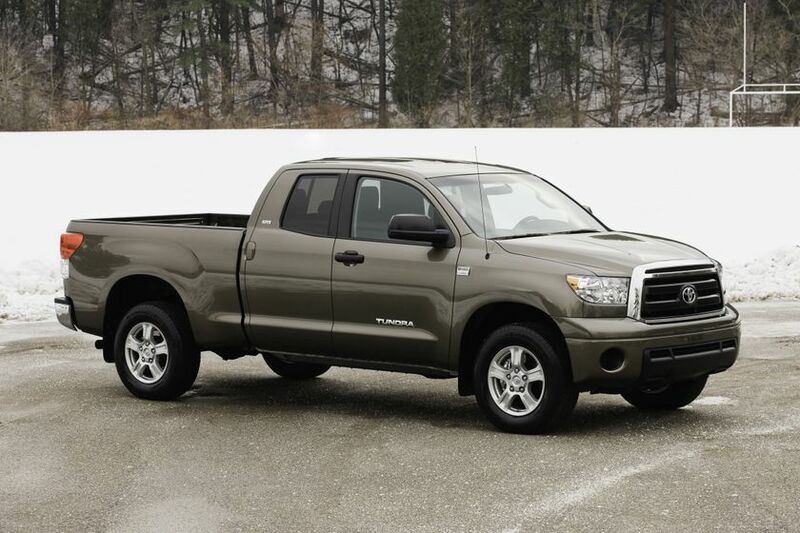 This builds on the Upgrade Package, a DVD-based navigation system, leather seat surfaces with heated front seats, a power sliding rear window and more. 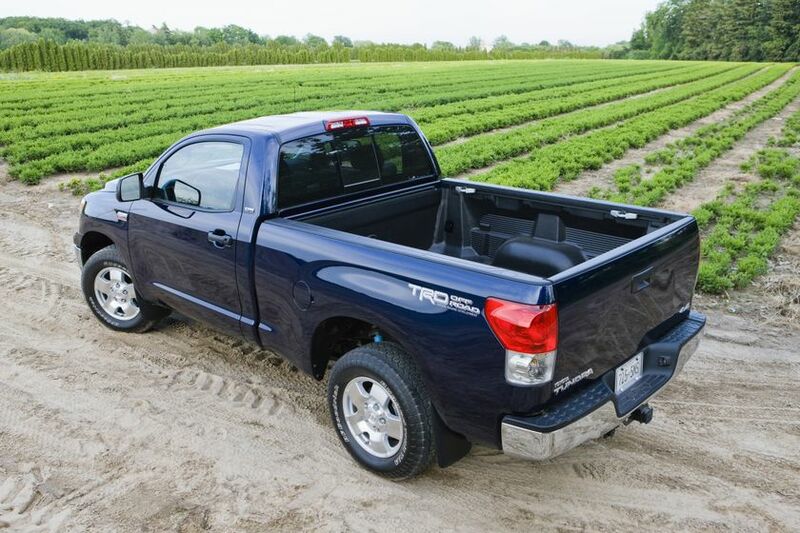 The 4x4 Tundra Double Cab SR5 Long Bed 5.7L may be enhanced with an Upgrade Package. 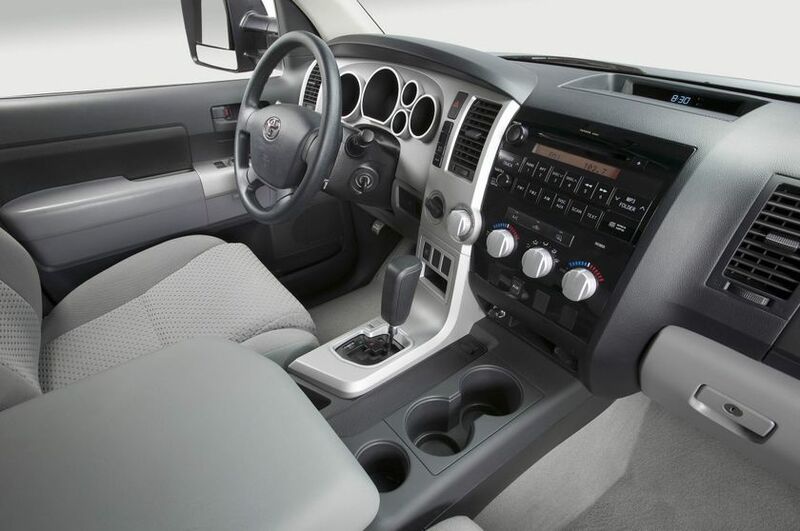 The already very-well-equipped 4x4 Tundra Double Cab Limited 5.7L may be further enhanced with a Navigation Package, which adds a voice-activated DVD navigation system, a backup camera in the navigation display, and XM Real Time Traffic capability. 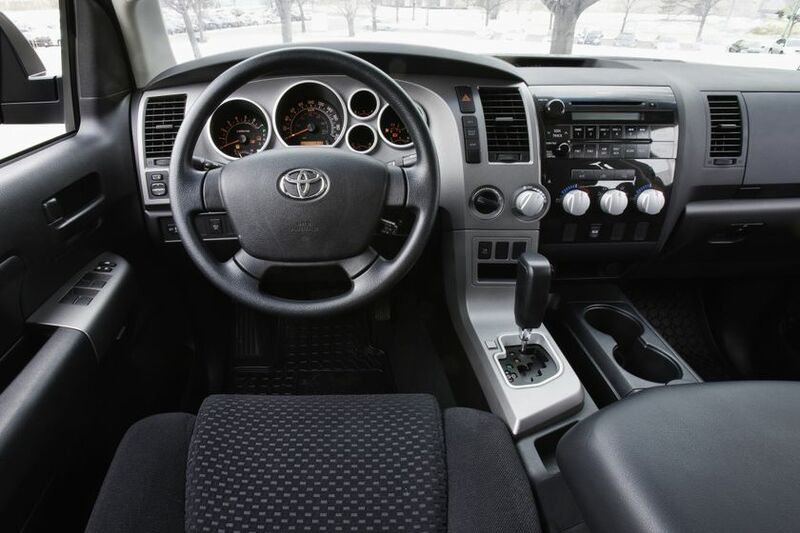 For maximum style and comfort, the 4x4 Tundra CrewMax Limited 5.7L is tough to beat, but ordering the Platinum Package adds the final touches – including unique 20” aluminum alloy wheels, wood and leather wrapped steering wheel and leather wrapped shift knob, perforated leather seating including a front seat ventilation system and more. 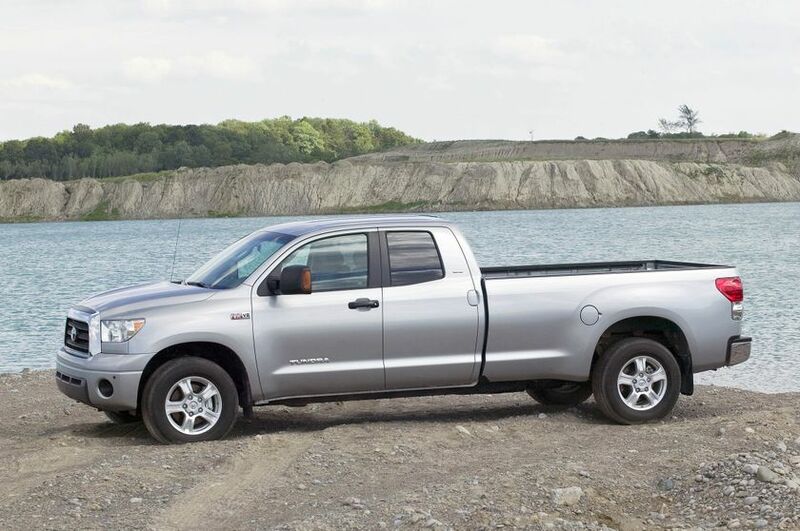 The CrewMax Limited may also be ordered with the Navigation Package, which builds on the Platinum Package with a voice-activated DVD navigation system, a backup camera in the navigation display, and XM Real Time Traffic capability.